Feel the sensation of being a real WRC driver: Sign your first contract in Junior WRC Class, and get outstanding results climb up the other classes to join real WRC official teams. 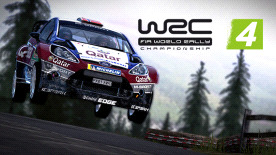 Race after race, you will be able to pass every class up to the Olympus of the WRC and try to became the World Rally champion. Realism: The maximum level of realism is reached with improved handling and physics of the cars, improved background elements (trees, grass, rocks, public) and new camera and cut scene. Authenticity: The real class division of WRC, the real rally structure, different light conditions, 3D Service Park and podium cutscenes for the winner all reflect the dirt and exciting world of Rally.